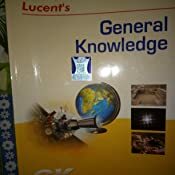 Lucent's General Knowledge (2018-2019) Session by Dr. Binay Karna. This is 2018 edition Lucent GK. 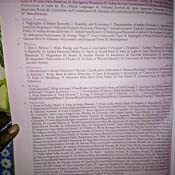 I was selected in government job due to this book in 2010. It covered my full General Studies. 5.0 out of 5 starsBest book in the market for updating gk for any exams. 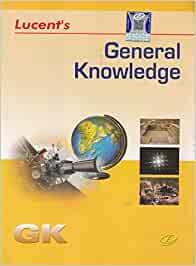 Best book for updating your general knowledge. 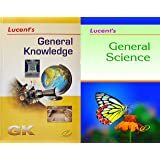 Not like ordinary gk books with MCQs it covers each topic thoroughly and helps to memorize only the uselful information. If you find this review helpful please click the helpful button. I cannt say. 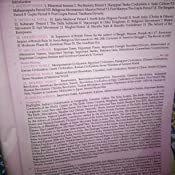 Attached photos of content with my review. This is very helpful & important book for all kinds of CCE & PSC Exam. A mast buy book for all the apprentice who are taking preparation for government jobs. As a central government employee I will recommend all the students to go through this books for their General Knowledge preparation. 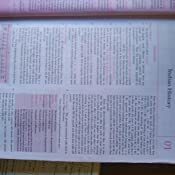 I have also used this books for my preparation. 3.0 out of 5 starsAmazon price is higher than MRP printed. Excellent book for general knowledge. It is a new edition (2018) slightly different from previous editions. It has updated information. Book covers enough information for exams like RRB, banks, psu's, SSC je ,etc. A good book for people preparing for SSC CGL. This should definitely clear the general knowledge part. Combined with the test papers you have a good chance of clearing the exam. I got this book for ₹ 130 each . Its a latest or 8th edition of lucents . Best book for static gk. Quality of this book is also very good.